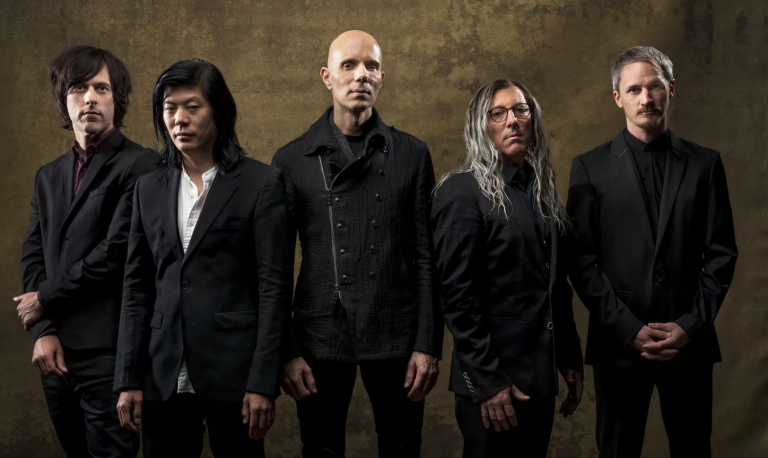 A Perfect Circle are known for tracks like “the Outsider” and “the Package.” In short, hard, artistic alt. rock and metal. But this… 14 years since their last album, it’s safe to say they’ve grown with the times. “Get the Lead Out,” off their fresh 2018 album Eat the Elephant, is an out-of-body experience of a track. It’s what you get when an excellent rock band embraces current trends in music without selling out their own sound. The result is everything the word “NEW” could ever mean and more. Opening to placid piano and stumbling drums, “Get the Lead Out” is sombre at its offset. So far, so good, but certainly not uncommon to APC, right? What follows is as unexpected as it is awesome. Choice inclusion of samples, quiet repetition in the vocals, pizzicato plucking, and rhythmic record-scratching makes for a song at once meditative and aggressively experimental. A deep mellow dub beat then bounces this track out of the park. You know what influences they’re pulling from, but it’s so gloriously unanticipated it takes you by surprise all the same. The urban underpinnings plod on low-key throughout the entirety of the album, but “Get the Lead Out” epitomizes the band’s fresh experimentation. I loved it and the album overall. How about you? Unique experimentation done right by a band no one's heard from in over a decade. Loved it.